If you’ve driven Interstate 90 across South Dakota, chances are good that either you thought this a couple of times or your kids said it a couple thousand times. Maybe you were the kid saying it on a family road trip years ago. Let’s be honest, I-90 is not the most exciting stretch of highway in the US. If you like a good cross-country road trip, like we do, this drive is probably inevitable. 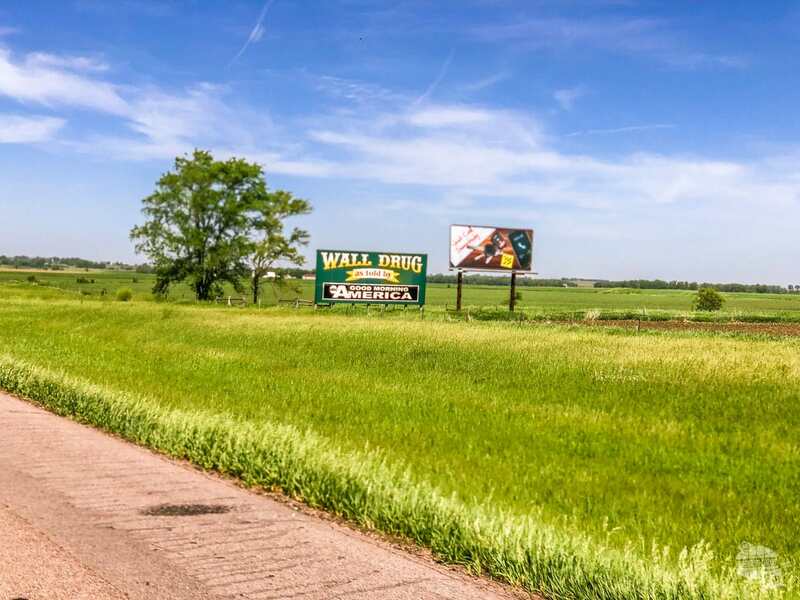 Along your drive, you’re sure to see a few things: rolling hills, grass, cows and signs for Wall Drug. Just keep watching those Wall Drug signs. They beg you to stop for many things: free ice water, five cent coffee, jackalopes and a giant T. Rex, just to name a few. 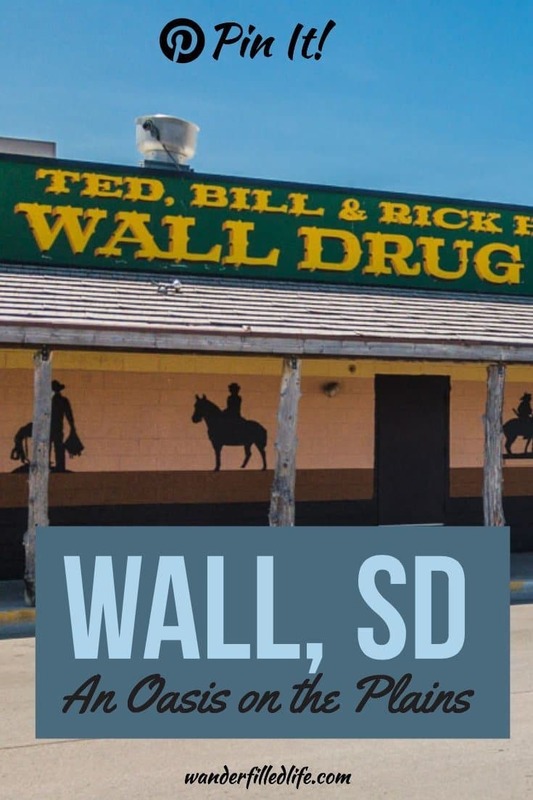 You will find advertisements for Wall Drug all over the world and when you start getting close to South Dakota, you can’t miss them. We were more than 300 miles away when we spotted this sign. Wall may not be a big town with a lot to do, but it is a nice stop in an area that doesn’t have many options. If nothing else, it is a good place for you to stretch your legs and for the kids to burn off some energy. 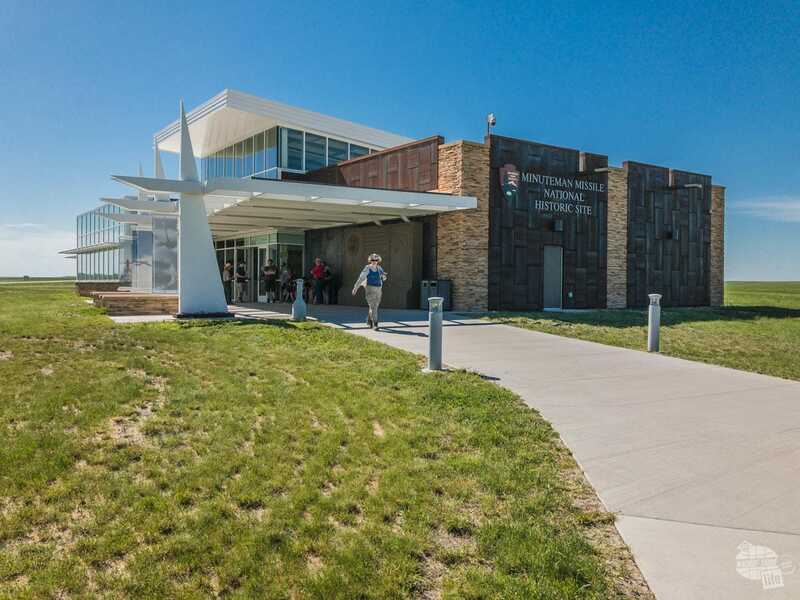 We have visited Wall three times in nine years, including using it as a base for visiting Badlands National Park and Minuteman Missile National Historic Site. The other two visits we were just passing through. Believe it or not, Wall Drug alone can keep you occupied for a couple of hours. The nearby national park sites can keep you occupied for a couple of days. Whether you are just looking for a place to sleep for the night or you’re exploring the nearby history and natural wonders, Wall is a great place to visit! 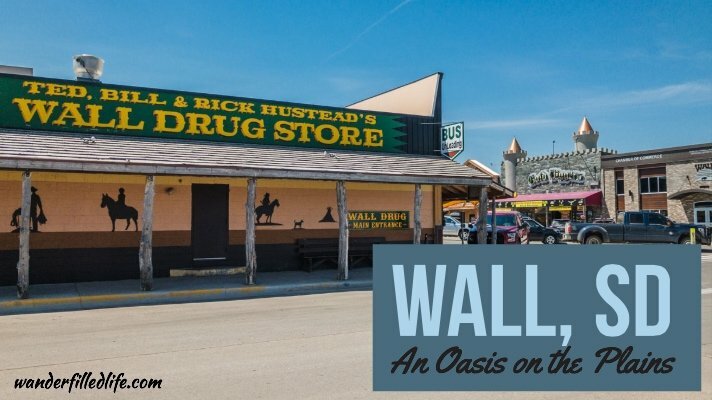 According to the store’s pamphelt, when the Hustead’s first bought Wall Drug in 1931, business was bad. Real bad. It took nearly five years before Mrs. Hustead came up with the idea that would eventually save their store. Her idea? Free ice cold water. Mrs. Hustead knew that as folks drove across the hot, dry plains, a free cup of cold water would be too much to pass up. 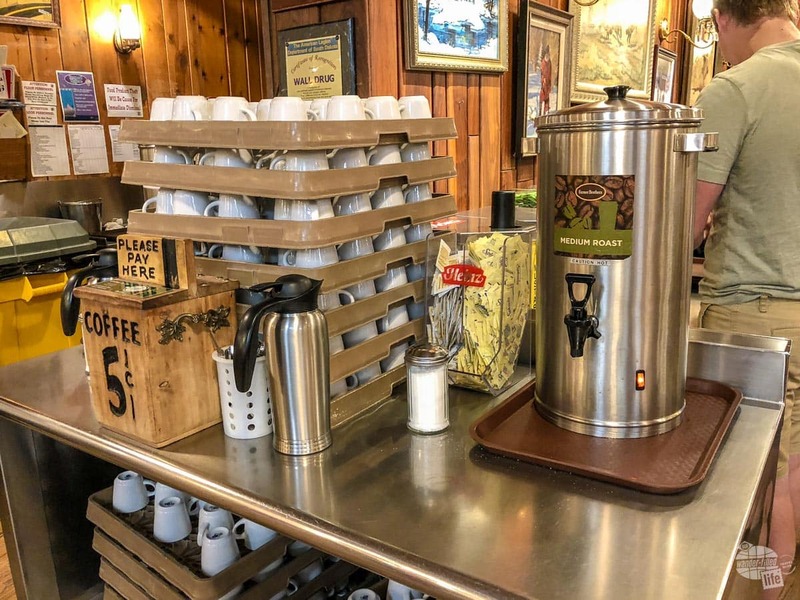 One of the big selling points of Wall Drug back in the day was free ice water and five-cent coffee, a tradition which continues to this day. The next weekend, Mr. Hustead and his son put signs up along the highway advertising free ice water. By the time they returned to the store, their marketing was already working. The Hustead’s stayed busy the rest of the day passing out glasses of free ice water, filling water jugs and even selling a few ice cream cones. 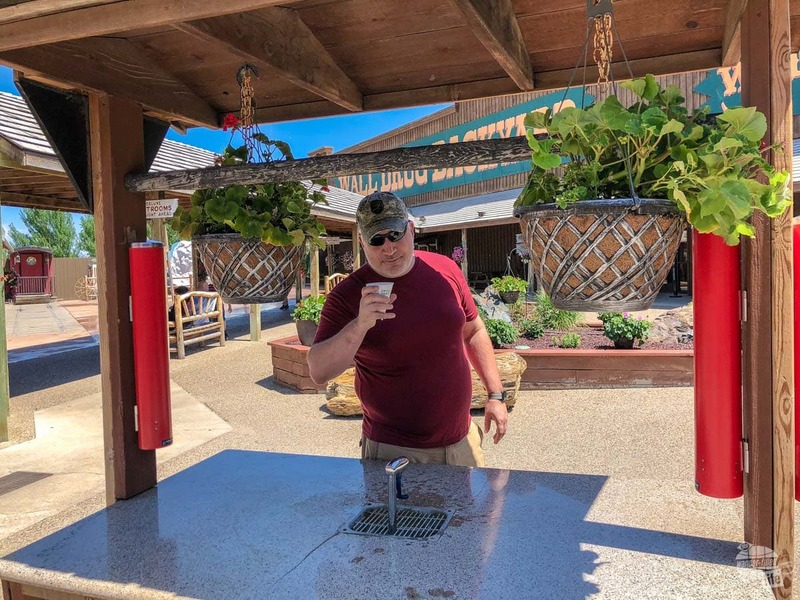 Their idea to draw travelers in with free water didn’t just work, it thrived! And Wall Drug has been thriving ever since. Coffee is still five cents at Wall Drug. You can still get free ice water. And coffee for five cents. And just about anything else you can imagine. 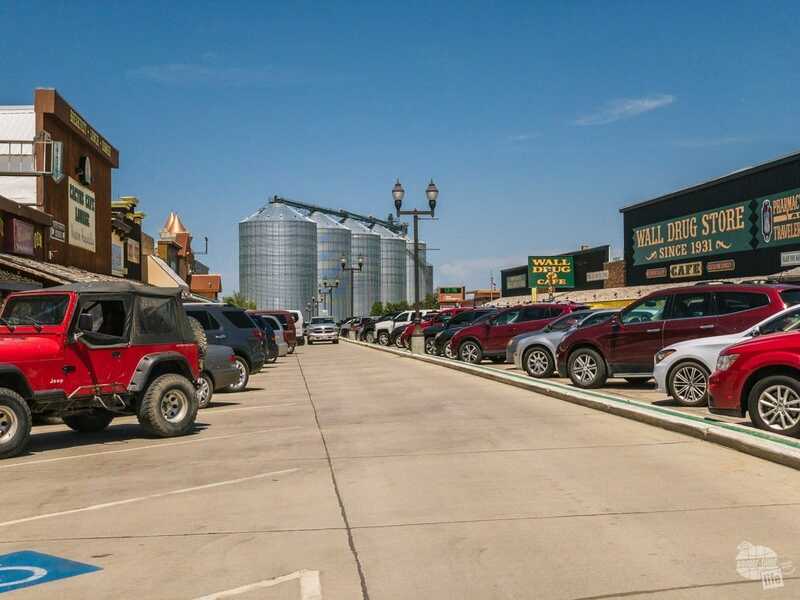 Wall Drug is still owned and operated by the Hustead family, but the store has grown, now taking up most of a city block and drawing roughly two million visitors each year. Inside you’ll find just about every traditional (and tacky) souvenir you can think of. And many more you could never have imagined! 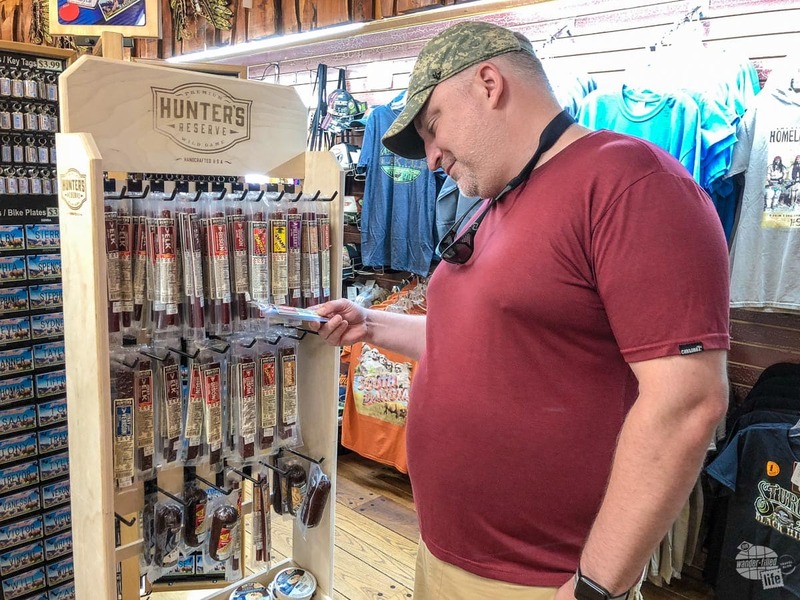 Grant checking out the jerky. Wall Drug had a great selection of jerky from various game animals. At The Emporium, you can get t-shirts, magnets, snacks and much more. 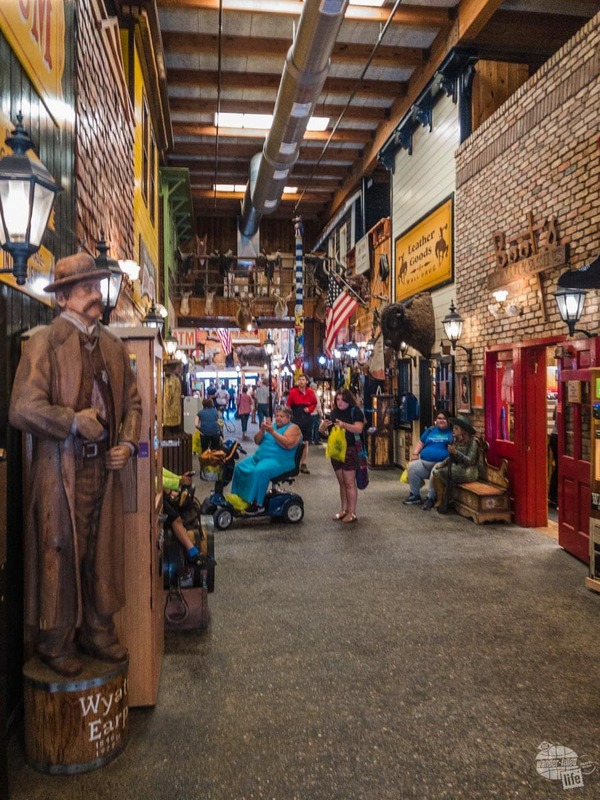 The Wall Drug Mall includes more than 10 different stores selling jewelry, books, clothing and Western art. 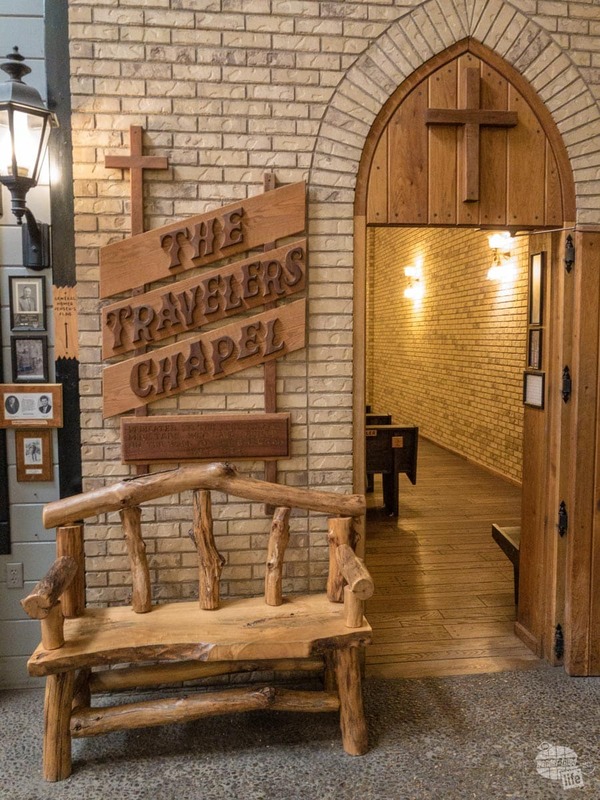 You’ll even find The Traveler’s Chapel in the mall. Wall Drug has expanded so much it is more or less a mall. In the new Backyard Mall, kids will love the giant jackalope, dancing water, a mining & panning area and an arcade. 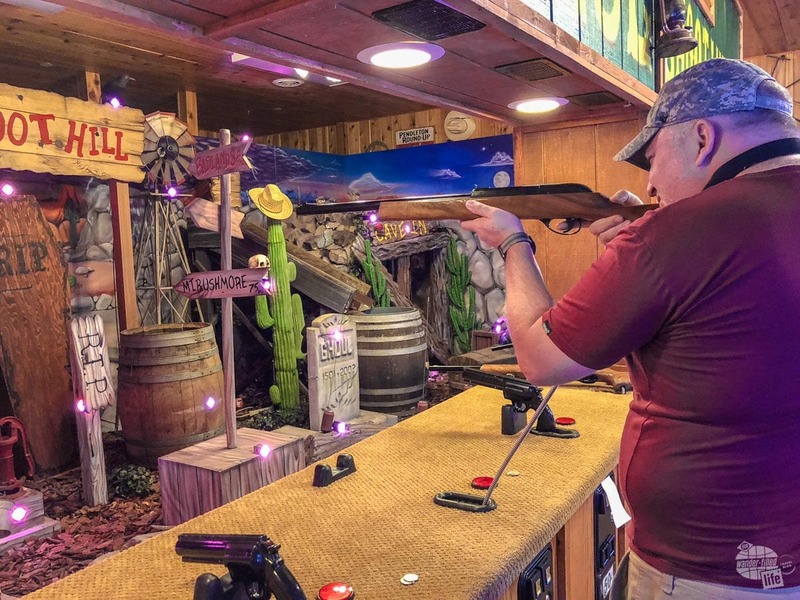 We, of course, had to battle it out at the Shooting Gallery. Sadly, there was no scoreboard, so we’ll just assume that I won. Grant takes his turn in the shooting gallery. The Wall Drug Cafe serves burgers, hot roast beef and scrumptious pie. 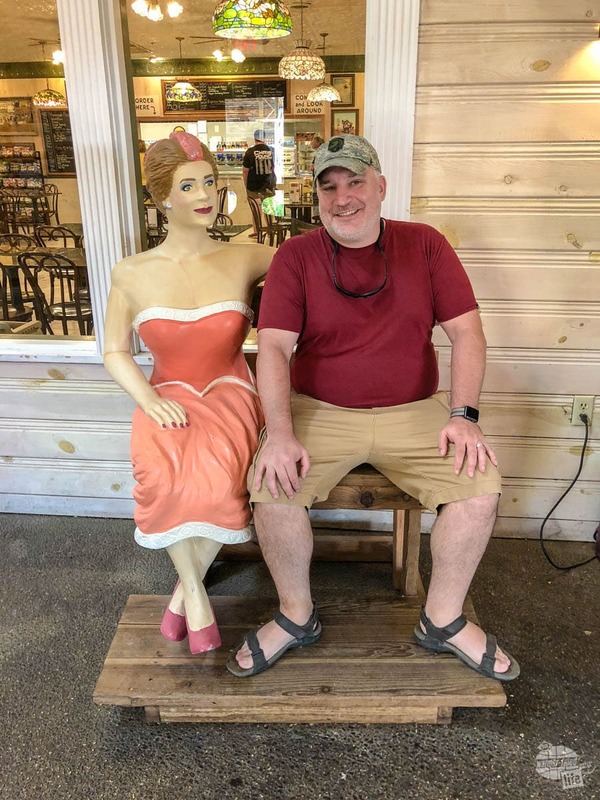 I will admit that after several trips to Wall Drug, the cafe is still overwhelming with all the different places to order and the number of people. We found the quiet Prairie Food Parlor in the backyard more our style. And, of course, there is a pharmacy. So, what else is there to do in Wall? Not much, honestly. Main Street in Wall, SD. Don’t worry, there is plenty of additional parking nearby. There is one main drag with a few other touristy shops selling t-shirts, art and jewelry. You’ll also find a few motels and a couple campgrounds. According to TripAdvisor, there are a total of eight “restaurants” in town. This includes the only two fast food options, Subway and Dairy Queen, and two Wall Drug listings. 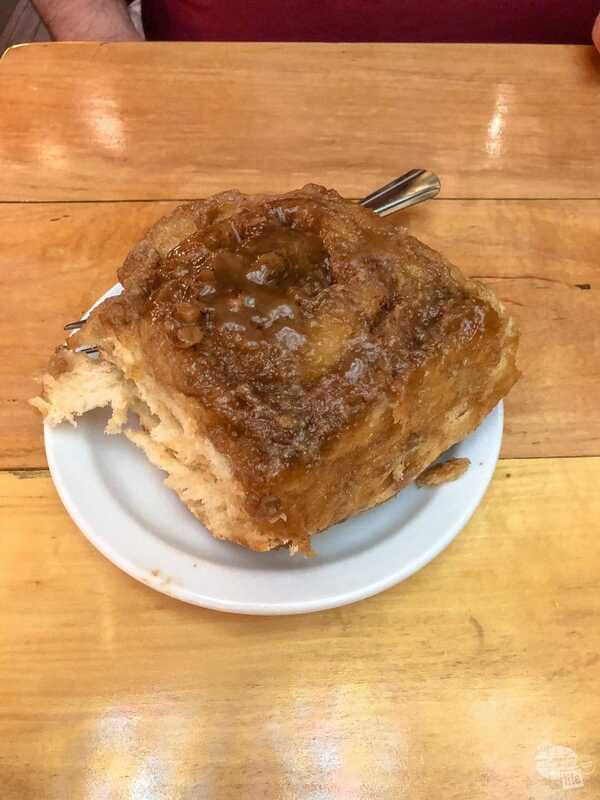 Grant enjoyed a caramel pecan roll at Wall Drug. There are MANY food options at Wall Drug from pizza to sandwiches to desserts. Our favorite place to eat is the Badlands Saloon and Grille. We were pleasantly surprised to find that the dive bar we remembered from 2012 has been completely renovated and turned into a family-friendly restaurant. The menu is still limited (burgers and pizza being the main staples), but they offer a full bar, so we weren’t complaining. We ate at the BBQ joint on a past trip. It appeared to be closed this time around. I’ll just say that I wasn’t surprised. There is also a small grocery store where you can stock up on the basics. After three trips, we still have never stayed in a hotel in Wall. We’ve always camped. On the first trip, we tent-camped at Arrow Campground. I don’t remember much about that campground, but I do know that the second time around we stayed at Sleepy Hollow Campground (also tent camping). We chose Sleepy Hollow again for this trip, in our travel trailer. Both campgrounds are on the west side of town, near the railroad tracks. We did not hear the train on this most recent trip, but have heard it in the past. Be aware that it is close by, but it’s not something that you need to be concerned about. All of the sites at Sleepy Hollow Campground are pull through, which make for an easy in and out. The sites at Sleepy Hollow are all pull-throughs. 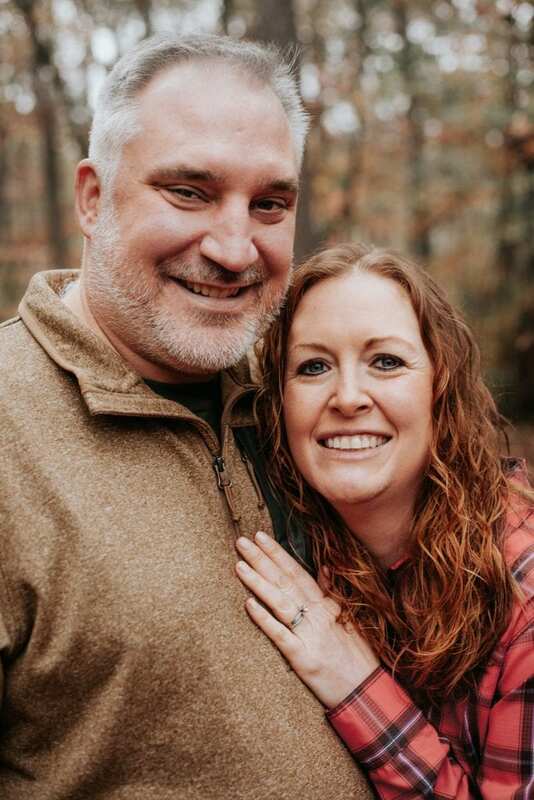 Our site was perfectly level…woohoo! It appeared that other sites were as well. Sleepy Hollow does have a wide array of hookups available, all scattered throughout the campground. You can get just about any mix of services you want. Water and electric (30 or 50 amp) are standard. Sewer and cable are also available. 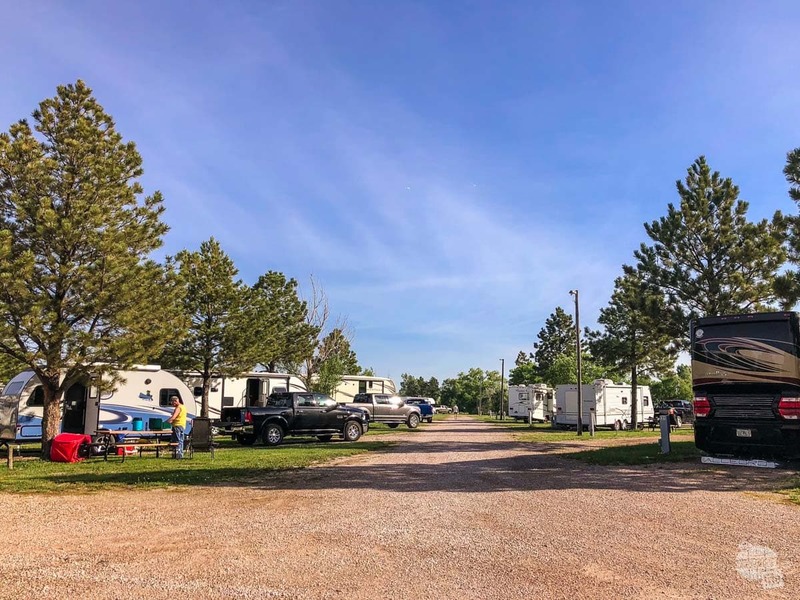 The campground is within easy walking distance of Wall Drug and the main drag of town. If you prefer a hotel, there are 11 to choose from. 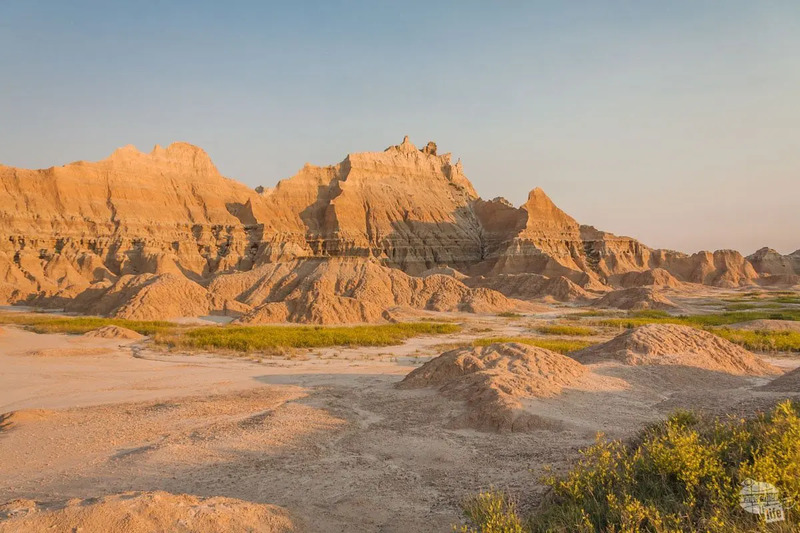 Within an hour of Wall, you’ll find two fabulous national park sites: Badlands National Park and Minuteman Missile National Historic Site. I know the 60 official National Parks get all the attention, but don’t overlook the 350 or so other sites operated by the National Park Service. Among these sites, you’ll find bits of US history that you didn’t learn in school (or maybe that you’ve since forgotten). 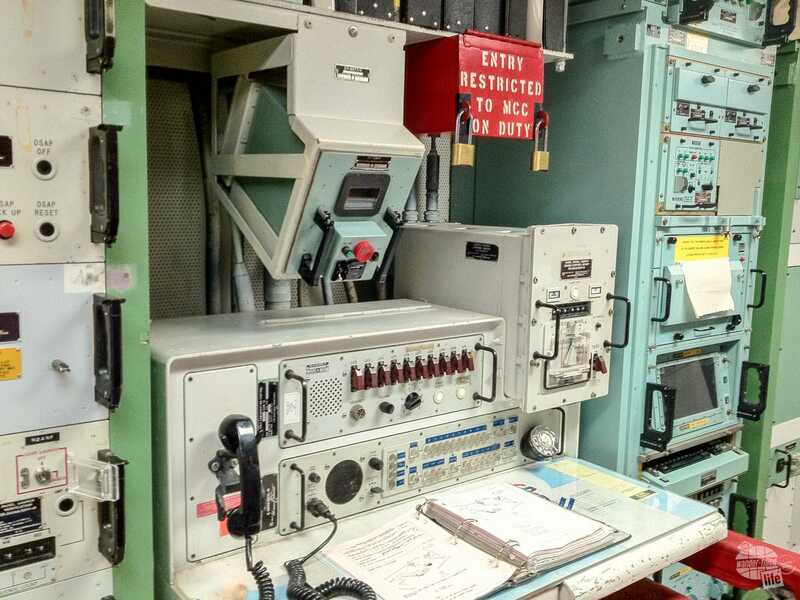 Want to visit the inside of a nuclear-missile control center? Minuteman Missile NHS lets you do just that! See… I told you those other 350 national park sites were pretty cool. We first visited Minuteman Missile NHS in 2012, when the Visitor Center was just a small mobile home trailer. When we first visited this national historic site back in 2012, the visitor center was a double-wide trailer. They have since built a wonderful visitor center with extensive exhibits. It is well worth the stop even if you don’t plan on doing a tour. The new, modern Visitor Center is just about 20 minutes east of Wall, right off I-90, so we couldn’t resist stopping and checking it out. Here you will find all kinds of information about the Cold War and the nuclear arms race. The exhibits are nicely done. Sadly, the timing was not right for us to see the 30-minute film. While at the Visitor Center, be sure to sign up for a tour of the Delta-01 Launch Control Facility. The ranger-guided tour will take you down into the underground launch center, where two Air Force officers worked, ready to launch missiles on a moments notice. The missle control console at Minuteman Missile National Historic Site. You can also visit the silo at Delta-09, where you can view a Minutemen II training missile from above. Even if you think you aren’t interested in the Cold War, I suggest you stop. You’ll probably enjoy it more than you think you will…I know I did! With one of the world’s richest fossil beds and some of the country’s most interesting landscapes, Badlands NP sometimes feels other-worldly. Its remote location brings with it a vast night sky. While Badlands may not get as much hype as Yellowstone or Yosemite, it is still a beautiful park and a fabulous place to visit. 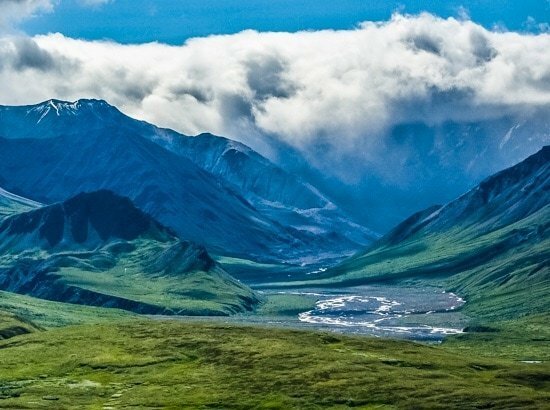 The colorful ruggedness and vast history found here is simply unique. You can easily spend a day or two driving the scenic loop road, hiking and visiting the paleontology lab. Dawn and dusk are the best times to see the vibrant colors and avoid the scorching summer heat. There are a few camping and lodging opportunities within the park, but you’ll find more options in Wall. The Pinnacles entrance to Badlands NP is located less than 10 miles south of town, so even driving in for sunrise photos is doable. Yes, we speak from experience here. If you want to stay in a real town (albeit a small one) while visiting the Badlands, Wall is probably your best option. If you’re just passing through, you’ll have to decide for yourself. What is most interesting about Wall Drug is a lot of the attractions and services for travelers, like the Travelers Chapel, are free. Me? I agree with Bill Bryson. It’s a tremendously tacky and touristy place, but it’s still great! And there is nothing like it anywhere else. At least not that I’ve seen or heard about. 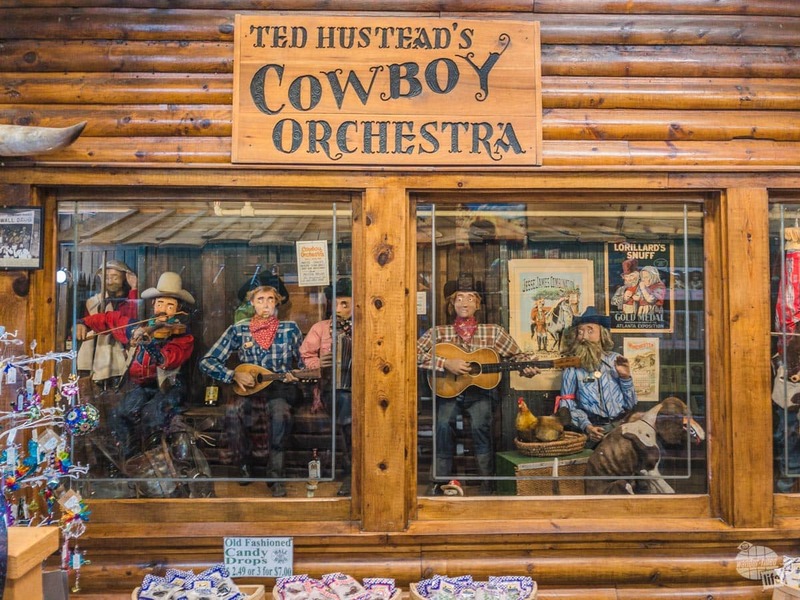 The Cowboy Orchestra, one of the many hopelessly cheesy but awesome tourist attractions in Wall Drug. Wall Drug may not be a must-see place on the same scale as the Grand Canyon or the Eiffel Tower. But, it is certainly a unique place with a quirkiness all its own. You’ll likely see signs for Wall Drug for MANY miles. We saw our first one more than 350 miles away. Apparently, there’s even a sign in Antartica (I’d love to see that myself one day)! We even found someone who would sit next to Grant. My guess is that the signs themselves will eventually convince you to stop… You’ll simply have to see what all the fuss is about. 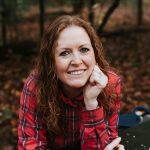 Looking for more road trip fun? If you’re headed west, Cody, WY is another great stop that we love. If you’re headed southeast, you gotta stop and at least get a taste of Memphis.